"On relinquishing command of the Battalion in order to take up a Special Service appointment for which I volunteered, I wish to express my deep appreciation of the spirit of loyalty and service which has pervaded all ranks from the time of mobilization back in Comox to the present day. "I should have preferred to address you personally before my departure, but the hour for the latter was unexpectedly advanced, and I had to leave at an early hour this morning. I must, therefore, convey to you through the medium of Battalion Orders those feelings of pride and gratitude which overwhelm me when I recall the endurance, perseverance and courage which you have exhibited throughout your period of service in Belgium and France. "It is with the deepest regret that I sever my connection with the 102nd Battalion, but the conviction that I can perform better service for the Empire in a different sphere of duty has compelled me to take this step. "To all of you I say, not 'Good-bye' but 'Au revoir,' and may the best of luck attend you all. I leave you in the full confidence that you will extend to my successor the same loyal service that you have always given me, and that you will 'carry on' as you have done, to the honour and glory of the 102nd and the successful consummation of the objects of the Cause for which we are all striving. The departure of the Colonel came as a great surprise to most of the Battalion and was very genuinely regretted, especially by those of the old-timers who were left. But we were fortunate in having as his successor an officer whom we all knew well, also an "original" from the Spit, who had worked up from the position of a subaltern in command of a platoon to that of Second-in-Command, and whose distinguished services had already been recognized by the award of the Military Cross and the Distinguished Service Order. At the time that Col Warden left us Major Lister was in England on leave, but he rejoined us on January 19th as Lieut.-Colonel in command of the Battalion. In the meantime Major A. Graham assumed command. The Adjutant's duties had been undertaken at the beginning of the last tour by Capt. S. H. Okell, who carried on in that capacity until wounded nine months later. Lieut. R. Fitzmaurice was Transport Officer, Lieut. T. R. Griffith, M.C., who had succeeded Capt. O'Kell in the previous autumn, having been promoted captain and given command of "C" Coy. "A," "B" and "D" Coys. were under the command respectively of Lieut. I. C. R. Atkin, M.C., Major J. F. Gary, M.C., and Lieut. V. C. Brimacombe. Hill's Camp was a good camp, but we had great difficulty with the water, which was continually frozen; a good Y.M.C.A. entertainment of moving-pictures, etc., was nightly staged in a large hut; the baths also were good, and we were sorry when on the 15th we had to move back to Vancouver Camp, for here we found many dilapidations. For three months the camps in the Chateau de La Haie grounds had been in the occupation of Imperials, and they showed it. Whatever the Imperial Army may have been in the good old days before the war, there is no getting away from the fact that the battalions of the Citizen Army called forth during the war had no consideration for the units which might follow them in their several camps. We found that the linings of the Nissen huts had been wantonly torn out to provide fuel, that the water system had gone out of order, and that no effort had been made to keep the camp generally in a good state of repair. 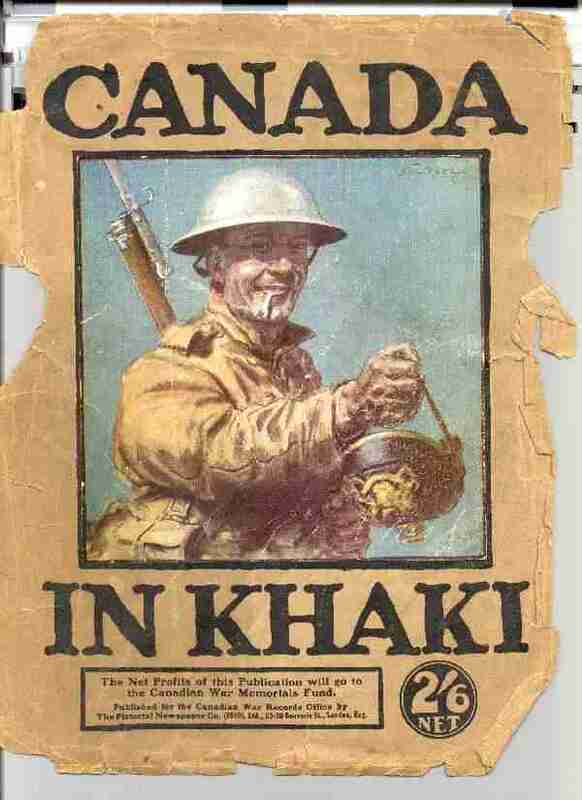 Whatever faults may from time to time have been urged against the Canadian Corps, it was at least a matter of pride with its units that they improved every camp they went to and made it more habitable than they found it. Besides, it's a foolish bird as well as an ill one that fouls its own nest, and we knew by experience that it did not pay from the point of view of personal comfort to break up a camp for fuel or to allow the bath-mats to deteriorate. The result was as might have been expected; we were perpetually being used to make good other people's defections, and in this case the 4th Division undertook the good work. On the 17th we attended "en masse" the 4th Divisional Concert Party's wonderful pantomime, called "A Lad in France," a really clever piece of work, well staged in the Irving Theatre, and well acted, abounding in topical allusions and evoking whole-hearted enthusiasm from all who saw it. Jan. 19th saw us in the line again, this time once more on the Lens front. Spending a night in Lievin "en route," in some very old disused billets, we relieved the P.P.C.L.I. on the evening of the 20th in the right sub-section. The billets in this area were good, and for Headquarters, at any rate, there was plenty of water in the shape of a lake which lay between us and our old positions in ``The Triangle." The front was quiet, but enemy machine-gunners and 'snipers were very much on the alert, and absolutely no movement overland was permissible; there was also a good deal, of artillery action on both sides, the Hun steadily bombarding Lievin in the rear, and paying particular attention to Brigade Headquarters there. On the occasion of this tour we found him using a new form of gas shell of low velocity, exploding with the sound of a High Explosive and emitting a gas which we had not before encountered; it took a little-time to get sufficiently accustomed to this new device to be able to recognize it immediately on approach. But, as has been said before, we were on the whole, very lucky with regard to gas, and though we were never careless, we became sufficiently expert in the use of our respirators to be able to continue a quiet game of poker in our masks what time the Hun was under the impression that he was causing us untold anguish; as was instanced by a little party held in our old-Headquarters in the Gendarmerie, to which we returned on the 25th when relieved in the front line by the 54th, and where we remained until the 30th, when, on relief by the 85th, we marched back to Vancouver Camp. We had now had two very uninteresting tours in the line, and were expecting the same routine to prevail for a few months; it was somewhat of a surprise, therefore, to find that what we had supposed would prove to be the regular, six-day rest was in reality the preliminary for a long-period out of the line. 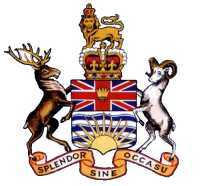 For over a fortnight we remained at Vancouver Camp, and the gods were propitious; we had the time, we had the place, and, "mirabile dictu," some of us had the wherewithal, thanks to the proximity of the Canadian Expeditionary Force - Canteen, and there were sundry decorations to be "christened" and more than one birthday to be celebrated. During the early part of February Vancouver Camp was well out of the "dry belt." On the 15th a move was made to Alberta Camp, an aggregation of good Nissen huts situated between Hospital Corner and King's Cross and scientifically laid out in scattered formation as an anti-aircraft precaution, and on the 18th we once more marched back to Gouy "en route" for Divion, which we reached on the 20th. We were now in First Army Reserve, but had orders to be ready to move at twelve hours' notice. We entered Divion under the command of Major Ryan, Col. Lister having proceeded with other Battalion, commanders on a tour of inspection of Base Depot organizations. Amongst other points of interest visited by this party was the huge Salvage Depot at Le Havre, and the Colonel returned on the 24th, very enthusiastic over the wonderful system of salvage and repair work which he had seen in operation. On the occasion of this visit to Divion the Battalion Headquarters were moved to the further end of the village, much to the chagrin of the local brewer, whose dignity was pathetically upset by having his magnificent accommodation demeaned by the presence of a mere Company Headquarters. In Divion we remained eleven days, the only outstanding event of which was a grand review of the 11th Brigade by Field Marshal Sir Douglas Haig, K.T., G.C.B., G.C.V.O, K.C.I.E., Commander-in-Chief of the British Forces in France, at Houdain, about two miles distant from our billets. For the last time we said "good-bye" in Divion on March 3rd, marching to Bois des Froissart, a new camp just north of our old stamping-ground of Hersin, where the Battalion was employed in wiring the front line in the St. Emile Sector. The Hun was very active on this front, and on the 4th of the month raided the Allied positions very successfully, penetrating to within 150 yards of the front line Battalion Headquarters. Whilst in this camp a spirited inter-platoon competition was organized to select the platoon which would compete against Brigade units before the Brigadier in a general efficiency contest. The palm of victory went to No. 15 Platoon, "D" Coy., whose immediate reward was a dinner at the Canteen expense in Hersin and the privilege of being left out of the line for the Brigade contest when the rest of us moved up to Lievin in relief of the 29th Bn. on the evening of the 11th March. Lievin was by now beginning to look like a home from home to us; we were always reasonably sure of good accommodation in this ruined suburb, we knew where all the water supplies were, and we knew that although the Hun would ceaselessly shell Napoo Corner he would never hit anything. On the 12th we moved up and took over the left sub-section of St. Emile Sector, Lens Section (about this time we all became very particular as to the correctly exact naming of our front line positions) from the 27th Bn., "A" and "B" Coys. taking over a three-company frontage. This was just as well, as the Hun was shelling the line systematically, and the fewer the number of men up in front the safer they were. It was often a difficulty during this period of the war to conform with the rigid orders of the Higher Command that every man not absolutely essential to the proper conduct of the Transport lines be sent up to the front and at the same time to avoid overcrowding. Our Headquarters in this area were situated in an old brick-kiln, in the foundations of which a spring of water had broken out, necessitating constant pumping by day and night; this pleasant duty fell to the lot of the Headquarters batmen, who were organized into two-hour reliefs; it was hard work, especially for batmen, who were unanimous in their expressed opinion that it was a perfectly horrid war, On the 17th we were relieved by the 54th, and returned to Lievin, where we were greeted the same evening by a hot gas-shell bombardment which fell all round Headquarters and claimed four casualties. While we were in Support we had our first meeting with the Allied "Frightfulness" gang, officially known as "Special 0 Squad" of the Engineers; these men made a specialty of beating the Hun at his own game, and one of their favourite devices was gas projection from a new type of cylinder. The gas is projected in a form of bomb which explodes behind the enemy's lines; the noise it makes when fired is truly awe-inspiring, and the spectacular effect is wonderful, On the 21st we witnessed such a projection, but we never heard any details as to the results obtained, as we went up to relieve the 54th again in the front line on the next night. This tour was marked by increased vigilance, if such a thing were possible. The Hun was in the first stages of his successful March offensive, and everyone was "on edge" as to where he would make his next push. All English leave was cancelled and unfortunates who had just left were being returned daily. But though everyone was on the "qui vive," and battle quarters were assigned to the veriest non-combatant of the- Headquarters Staff, no offensive materialized on our front, and on the 28th we were relieved in this sector by the 16th Suffolks. But, though we had been fortunate, others had experienced a different fate. Well to our right the Hun had broken through and forced back the line on the right of the 3rd Division, causing a composite unit to be hurriedly formed under command of Brigadier-General V. W. Odium, this body being known as "Odlum's Composite Brigade," and sent off to support the 168th Bdge. The crisis, however, passed before this body could be brought into action, and it was disbanded into its original units within a couple of days. Meantime, on the 28th, various conflicting orders were received at 102nd Bn. Headquarters as to our destination on relief. This was changed several times, with the result that when relief was completed at 9.15 p.m. a part of the Battalion had already set out for Ecoivres, a village near Mt. St. Eloy, about twelve miles from the line, whilst subsequent orders detailed Ecurie, on the Oppy front, as our camping place. Consequently the Battalion was divided into two, it being then impossible to recall those who had already set out. These men had a hard time of it; after a long night march they had to fall in again at 7.15 a.m. on the 29th and tramp through bitter squalls of sleet and hail another seven miles to rejoin the main body at Ecurie. This place lies south of Neuville St. Vaast, S.S.W. of Lens, between the Lens-Arras and Bethune-Arras roads; a good enough camp, but, like most, dependent on water-carts for all water. Here we remained until April 4th, under orders to be ready to move off at 15 minutes' notice with filled water-bottles. Everything pointed to an immediate action on a large scale, but our time was not yet. At Ecurie we were in closer contact with the Imperials than at any previous time; there were several Imperial units billeted in the neighbourhood, including a battery of "Heavies" and a section of the R.A.F. A Balloon Section was also in the area, and for miles on every side the big observation balloons hung in the air all day long, except when, as on April 1st, a sporting Hun airman came darting down the line and took toll of four in succession, sending them all down in flames. A couple of miles nearer the line was Roclincourt, where good baths were located, but the Roclincourt road was a target for the enemy artillery, who registered many direct hits on it. Life at Ecurie was not unpleasant, but it was marred by that 15-minute readiness clause in Orders, and it was really a relief when, on April 4th, we moved up and took over the front in the right sub-section, with Headquarters in an enormous rambling dug-out, with tunnel communications of an extensive nature. This front was well supplied with water, which was piped in all directions and even supplied a small bath-house hollowed out of the protecting bank. There was also a well in the neighbourhood, as one of "A" Coy. 's men found to his cost. He did not break his leg, but he found it uncomfortable as a night's billet. "Divisional and Brigade Commanders congratulate O.C. 102nd and all Officers and Other Ranks of the Battalion who participated either in the preparations for this morning's raid or in the raid itself, upon the success obtained. The Brigade Commander is proud of the fighting spirit shown by the raiding parties and of the heavy casualties inflicted on the enemy. That same evening we were relieved by the 78th Bn. and proceeded to Victory and Portsmouth Camps, near Ecurie. Early next morning orders were received that we were to relieve the 1st C.M.R. that night in the Acheville Sector, making our Headquarters in the same area that we had used when we went into Support on the Mericourt front at the New Year. On arrival, however, we found that there had been "dirty work at the cross-roads," and that the Hun had totally demolished our previous billets in the embankment, forcing us to occupy straitened quarters in Grand Trunk Trench; this trench was under constant fire from the enemy gunners, and, in addition, the accommodation was so limited that it was decided to find better quarters if possible; consequently, on the 13th, we moved over to some old Artillery positions close to Victoria Dump, where we contrived to make ourselves very comfortable, abundant water being procurable about 400 yards away at the other end of a secluded valley. It was not long, however, before the Hun realized that the deserted positions were again in occupation, and he marked his appreciation of the fact in the usual manner. During this tour a Brigade Composite unit was formed under Major Moffat, being composed of all men who had hitherto remained at the Transport Lines, but who could not be retained there under the new ruling that the personnel of Transport Lines must be cut down to 68, all ranks. This unit was retained for some time as a special Brigade Reserve for use in case of emergency; fortunately, its services were never required. On the 17th we moved up to our old Headquarters in the Quarries which we had occupied at Christmas. The situation was still critical, and Headquarters Details were now all mustered into separate units under Specialist officers. Battalion wits, seeing the pampered (?) individuals of Headquarters Staff thus mobilized into real fighting units, amused themselves by inventing suitable names of an opprobrious nature for the different sections; thus we had "Okie's 'Opeless Oafs" lining up with "Perry's Priceless Pierrots", and "Packman's Palsied Pippins" vieing with "Manning's Measly Microbes"; but these alliteratively-named squads were never called on to prove their prowess. To facilitate the assembly of Headquarters in their battle stations a new exit from the quarry was completed during this tour, and in honour of our Second-in-Command was christened "Paddy's Passage." Only one incident of interest occurred during the tour, when, on the night of April 21st, a midnight patrol from "D" Coy., under Lieut. J. R. Wilson, ran into an enemy patrol proceeding in force towards a gap in our wire; our men promptly engaged the enemy with rifle fire, but on being threatened by a second party from the rear, had to bomb through the latter and take cover in a shell-hole, where they were actively attacked by the Huns, reinforced by a third party. Our patrol successfully repulsed all attacks, and the enemy finally withdrew, after sustaining heavy casualties; this action on the part of Lieut. Wilson's, patrol undoubtedly checked a raid on our positions. "Dear General Odlum,-I have never taken over frontline trenches from any Battalion which were as clean and in as good shape as those the 102nd Bn. handed over today. We shall maintain and improve where possible. C.C. Harbottle. 23-4-18." This, was forwarded with a covering letter from the Brigadier reading:-"My dear Lister, Herewith a note from Harbottle, which has pleased me very much. I want to thank you and all concerned for the effort you must have made. The 102nd is pleasing me very much. V. W. Odlum." Amenities such as the above do a lot of good, and when they occurred were very generally appreciated. Our new camp was a good one, with a big Y.M.C.A. hut in the neighbourhood, where the 4th Divisional Concert Party put on a good original entertainment entitled "Camouflage." After six days' rest we moved up for our last tour in the line before the long summer training which was to keep us in the back area for over two months, and on April 29th we relieved the 54th in the left sub-section, Mericourt Sector, with Headquarters in one of the old Company Headquarters dug-outs, and remained in the line until the 7th May, when we were relieved by the Argyle and Sutherland Bn., which had just arrived from Palestine, where it had been quartered for three years without home leave; the men had all been under the impression that they would be going to England when they were landed at Marseilles, and it was a sadly disappointed unit which took our place. These men had never had any experience at all of trench warfare, and the Hun gave them a very warm welcome, developing the only activity he had shown in a week just after they had come into the line. As for us, we marched down to a point on the Neuville St. Vaast road where buses and motor lorries picked us up and carried us many miles to the rear, depositing us at 6.30 a.m. on April 8th in the village of Frevillers. The last three months and a half had been singularly without incident, but they had entailed a great deal of nervous strain. It is a great deal more trying to keep on waiting for an enemy's offensive which does not develop than to take part in one planned and developed by one's own side. During the past month, especially, the Battalion had been kept on the tip-toe of expectation; it had been switched from front to front in constant suspense, and though, with the exception of the one raid already mentioned, it had seen no real fighting, it was quite ready to enjoy a rest from front line work, even though that rest was to be filled with the hardest kind of intensive training in preparation for the strenuous days of open warfare which were to come towards the close of the summer. Let the chapter close with an anecdote illustrating the literary endowments of our Water Detail. On one of the recent tours Lieut. D. Macbeth came down in the early morning to interview the Medical Officer; as was customary, he was wearing a private's tunic, and one of the Water Detail on duty, not recognizing him, gruffly demanded his business "I want to see the M.O.," said the officer. "Well,, you can't see him yet," replied the man on duty; "he ain't up yet; wait till the proper time." "Do you know whom you are talking to?" answered the other, "my name's Macbeth." "And I don't care if it's bloody Hamlet," came back the answer; "the M.O. 's been up all night, and unless you're wounded he's going to get some sleep before he prescribes your No. 9's." Reprinted from the Battalion Christmas Card, 1918. Are stilled, as our triumph draws near. The Powers of Darkness decrease. Will meet, when all warfare shall cease. Brings hope to a suffering world. 'Neath the banner of Freedom unfurled.